Here are the three pictures that sum up my day of travel from Placencia, Belize back to San Pedro. 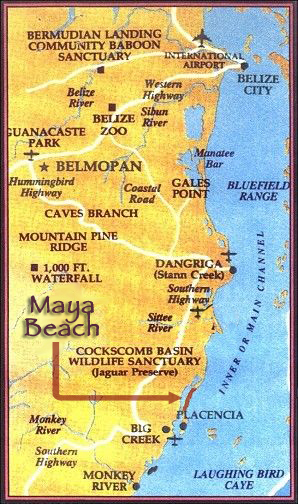 Waiting for the 6:30am Express bus to take me from Maya Beach to Belize City. My Laura Ashley luggage set circa 1991 has served me very well. Always easy to find in a luggage heap. 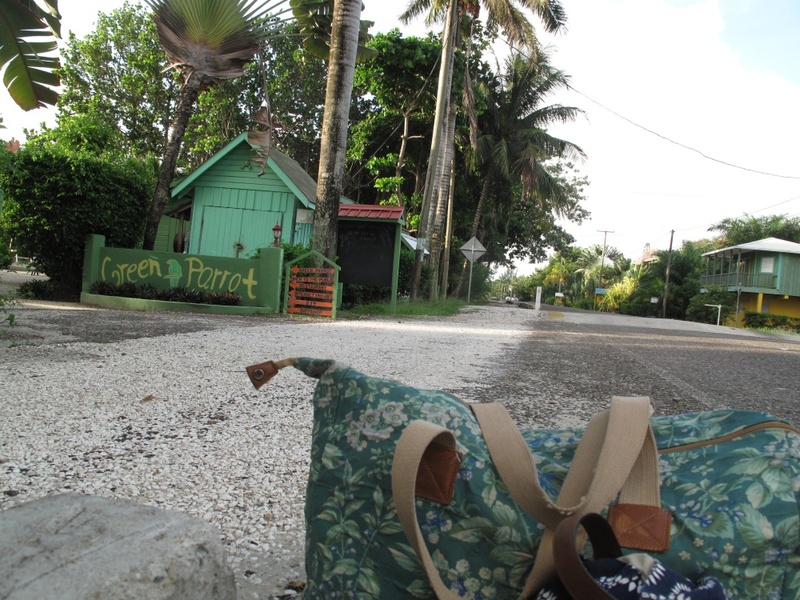 And my bag matches beautiful with The Green Parrot. 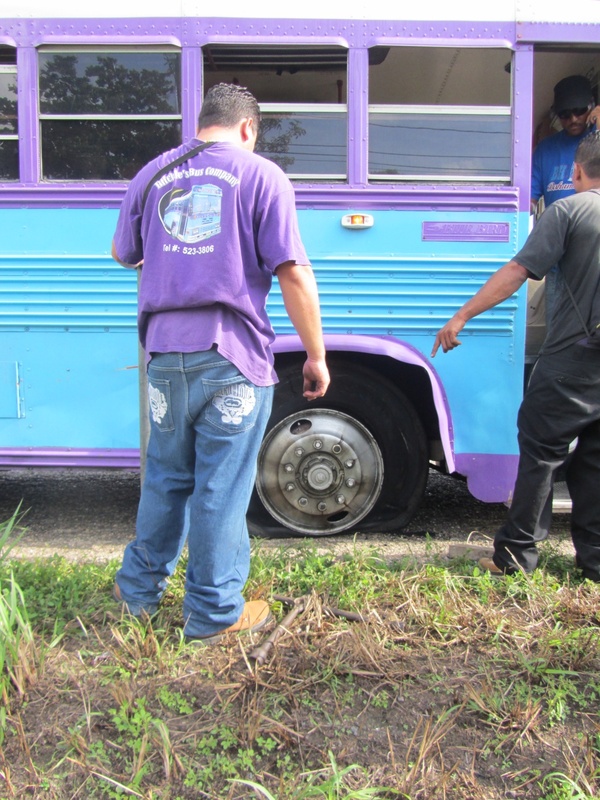 The express quickly came to an end when we blew a tire just outside Dangriga. I did not enjoy it when my seat mate whispered “hang on” and then clung to my arm. 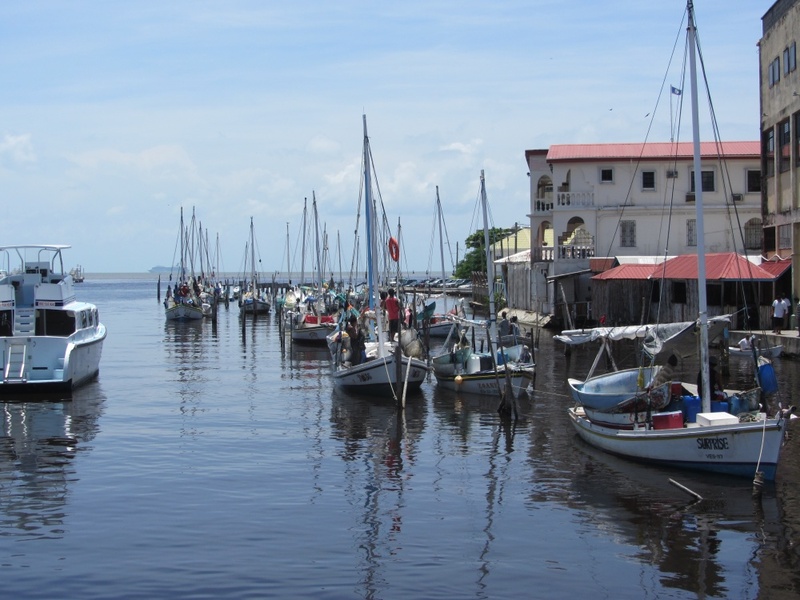 The river in Belize City was RIPE today with a very strong scent…how can I characterize it properly. Eau de Bilge Water? Some lobster boats were in…and so was a Carnival Cruise liner. See it in the back? I can’t tell you how many times I was asked if I wanted a massage or to have my hair braided on my walk to the water taxi. One more…an aside really. How long do you think it will take me at Crossfit to get a body like this? Don’t answer that. Let me think it is still possible. 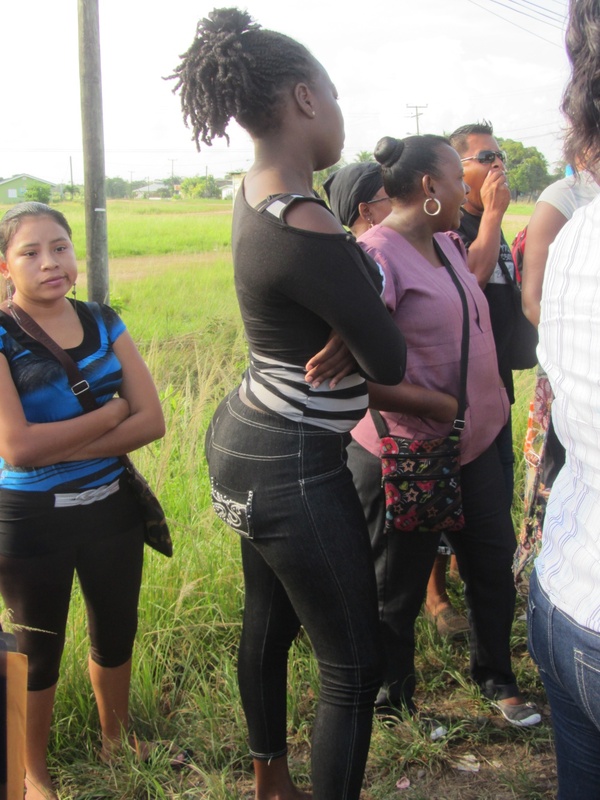 ummmm body with the junk in the trunk shot?? or the lobster boats? Junk. I want some junk!